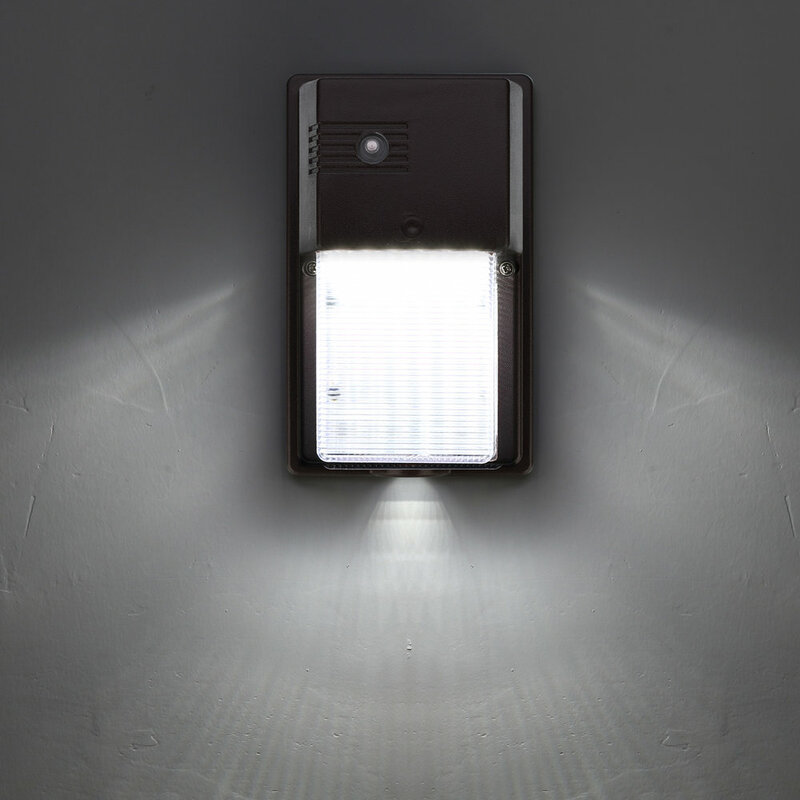 Wall Pack Light Content — Novolink, Inc.
120V Integrated LED provides 50,000 hours of maintenance-free, energy-efficient illumination. 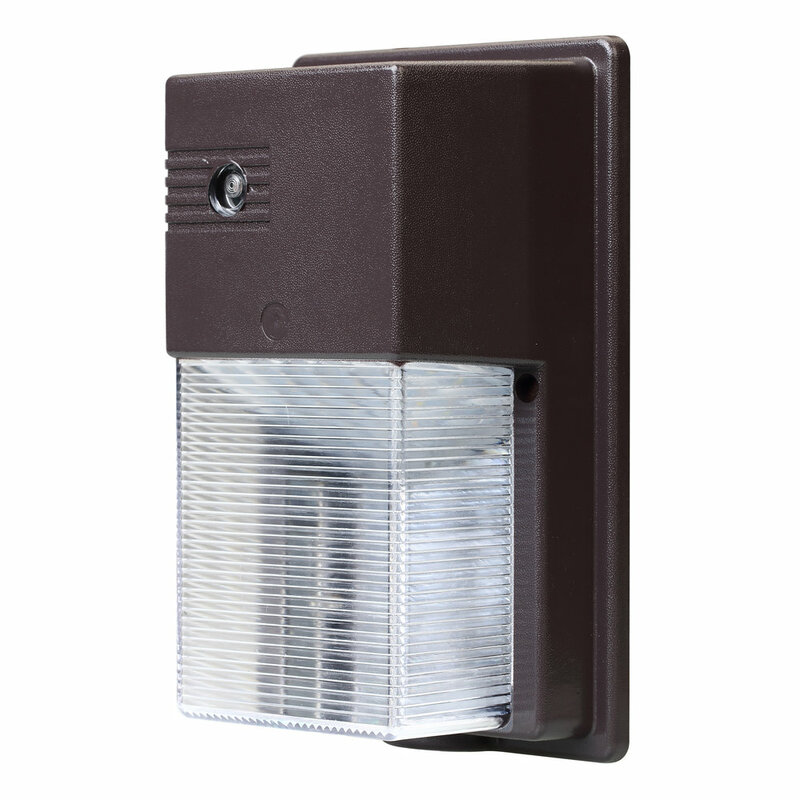 Photocell automatically turns light on at dusk, off at dawn, for convenience and energy savings. Available with Warm White (W) 3500K, and "Daylight" (D) 5000K color light temperatures, in a variety of wattages. 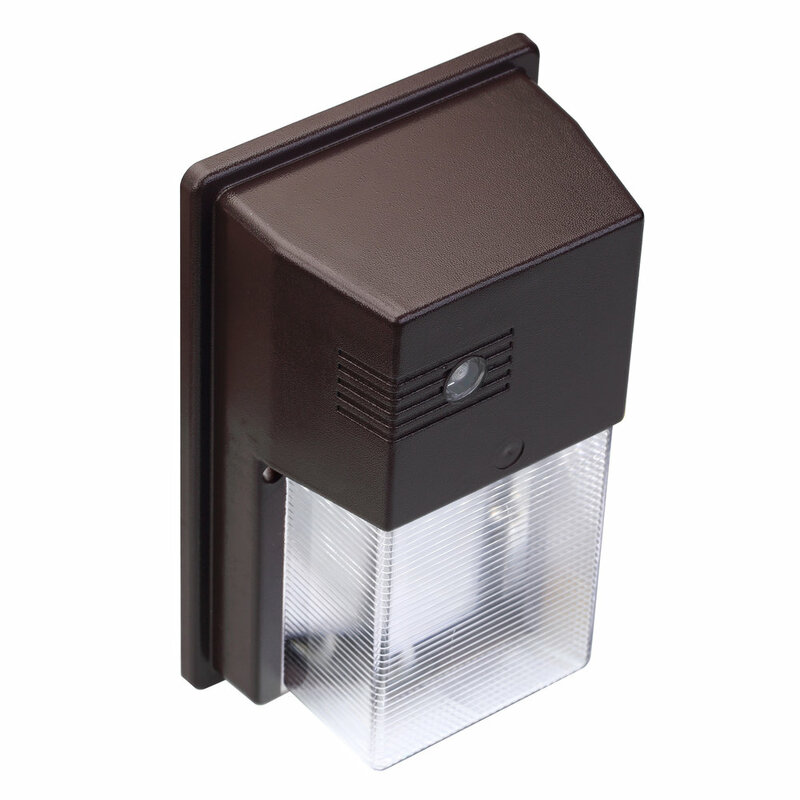 Package Includes: Wall Pack Light, mounting hardware and Installation instructions. WL-10D: 10-Watt, 800 Lumens, 5000 Kelvin (Daylight) color temp. WL-10W: 110-Watt, 800 Lumens, 3500 Kelvin (Warm White) color temp. WL-13D: 13-Watt, 1100 Lumens, 5000 Kelvin (Daylight) color temp. WL-13W: 13-Watt, 1000 Lumens, 3500 Kelvin (Warm White) color temp. WL-20D: 20W, 1700 Lumens, 5000 Kelvin (Daylight) color temp. WL-20W: 20W, 1600 Lumens, 3500 Kelvin (Warm White) color temp.